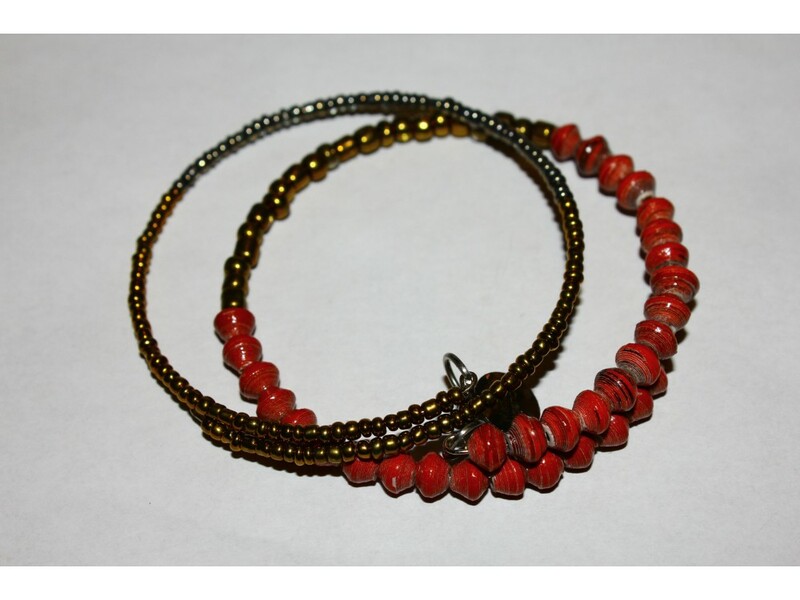 Two-piece bracelet It features warm and cool metallic beads against solid or variegated paper beads. 7.5-inch size adjusts up to 9 inches. Constructed with glass seed beads and paper beads handmade from recycled paper.